Seoul, officially the Seoul Special City, is the capital and largest metropolis of South Korea. With surrounding Incheon metropolis and Gyeonggi province, Seoul forms the heart of the Seoul Capital Area, home to roughly half of the country's population. Seoul is ranked as the fourth largest metropolitan economy in the world and is larger than London and Paris. Established in 1967, this is the oldest official national park in the country, drawing visitors for its 119,350 acres of rolling mountains and valleys, temple complexes, and Asiatic black bear habitats. 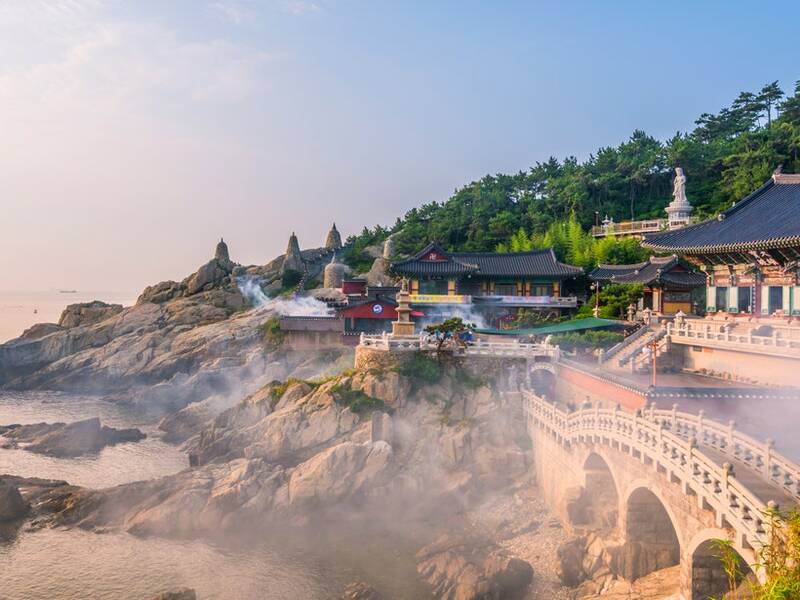 Haedong Yonggungsa Temple has one of the most scenic locations of any temple in the country—overlooking the sea on the northwest corner of Busan. Most temples are found in the mountains, so the chance to meditate while watching the sun rise over the ocean is particularly special. 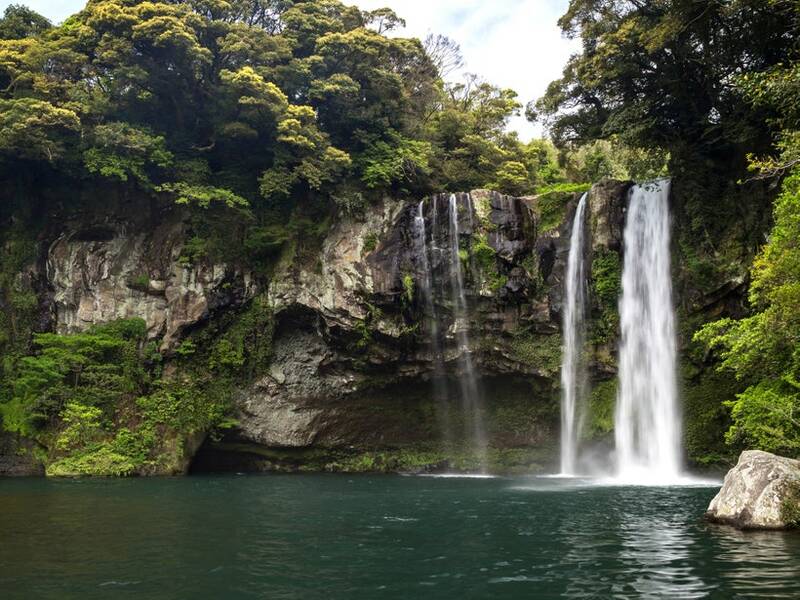 Located on Jeju Island—a wholly beautiful destination in its own right—this 72-foot-tall waterfall is surrounded by walking trails, lemon trees, and a pond filled with tropical (and totally harmless) eels. There is truly no wrong time to visit, as the cascades are lit up at night. 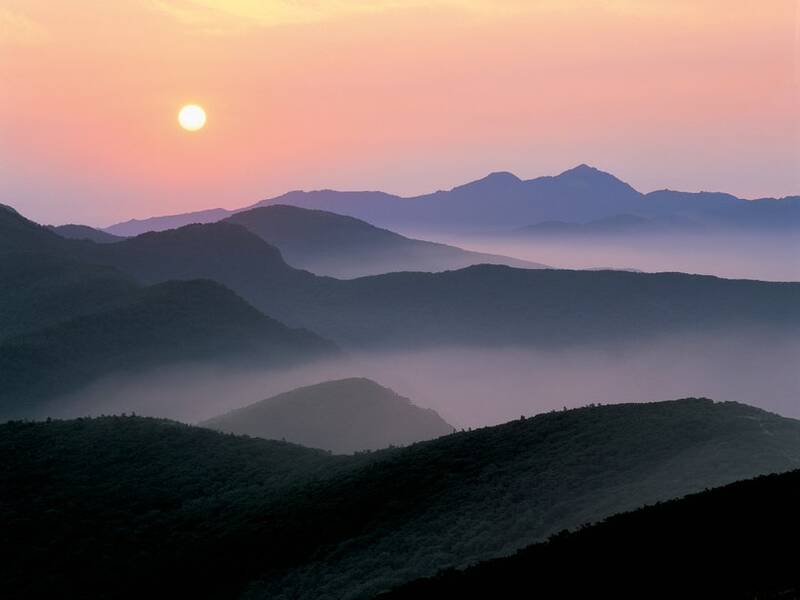 Located at the easternmost end of the country, Homigot is the place to watch the sun rise in South Korea. Due to its location, the area is the first in the country to catch sight of the rising sun—there is even a Sunrise Festival held here every New Year's, where visitors gather in masses to watch the solar event together. 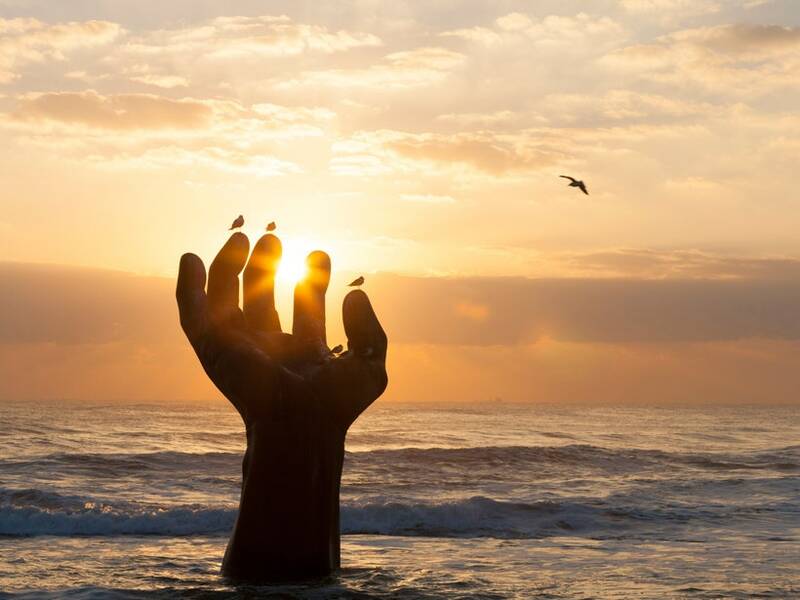 The site is made even more special with "Hand of Harmony," a sculpture featuring two hands—one on land, one in the ocean—reaching upward in a symbol of harmony.